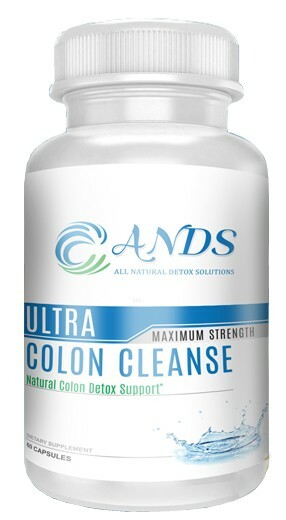 ANDS Ultra Colon Cleanse is a natural herbal supplement that tones, cleanses, and purifies the entire digestive system. ANDS Ultra Colon Cleanse alleviates such common problems such as constipation, stomach upset, gas and bloating. Flush Harmful Waste from your body with Natural, Pure and Proven ingredients that will Gently Remove the Toxins in your body. ANDS Ultra Colon Cleanse is very effective. We have tested product ourselves and also received excellent reviews from a number of their customers. Lose weight and detoxify your body with our colon detox cleanse. POWERFUL AND POTENT PURE COLON DETOX WITHOUT COMPROMISING COMFORT Our high quality extra strength detox pills are the perfect supplement for fast weight loss and constipation relief (detox cleanse weight loss). They are 100% safe, powerful and carry no side effects. During the cleanse, drink at least 12 full glasses of water to help eradicate toxins from your system. Directions: As a dietary supplement, take 2 capsules once a day.